As bad weather plagued the Greater Madison Area in the final days of January, the WolfPack women’s basketball team was determined to take care of business in the N4C before being snowed out. This came in the form of back-to-back victories over the Milwaukee Area Technical College Stormers and an overtime thriller against the Joliet Junior College Wolves. After poor shooting led to a road loss at Triton College, 56-45, in what would turn out to be one of the lowest-scoring games of the season thus far, Madison College bounced back to pick up a nervous win in Milwaukee, 76-61. The WolfPack ended the third quarter down by 1 point, but dominated from there on, winning the fourth quarter 26-10 and, inevitably, the game. Two WolfPack players, forwards Tianna Sackett and Caitlyn Gilbertson, would pick up double-doubles on the night, with NJCAA Division III Player of the Week Aniah Williams once again at the top of the scoring category with 32 points. Williams also led the team in three pointers with 12 points from beyond the arc. Sackett and Gilbertson both grabbed 12 rebounds, which led Madison College to a rebound differential of plus-seven over the Stormers. This hard-fought success in the paint meant points in the final stages of the game, and the rebounds were a crucial part of the win. Sackett and Gilbertson finished off their double-doubles with 11 and 10 points, respectively. Madison College finished off the four-game road trip by stealing a win from the Joliet Junior College Wolves in overtime, 95-93. After losing to the Joliet in Madison earlier in the month, 90-78, the WolfPack outshot the Wolves 46.2 percent to 35.2 percent to pull off the upset. 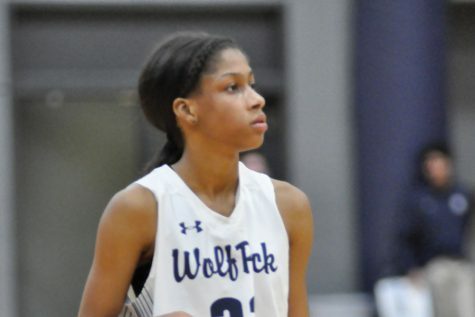 The lead changed hands several times over the course of the high-scoring game, but the WolfPack would prevail by means of Aniah Williams breaking the single-game scoring record program history with 41 points. Freshman Mary Raemisch also had a successful night, as she pulled down a team-leading 13 rebounds in her fourth game of the season after joining from the WolfPack women’s soccer team in the fall. Shaquita Lee also continued her pattern of contribution with 25 points, 9 rebounds, and 4 steals. The high-scoring contest saw her bag her fourth 20-plus point game. 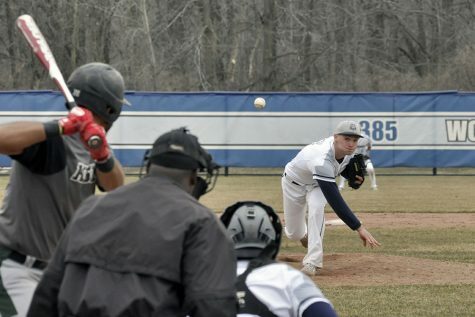 After losing a week of games due to the weather, the WolfPack will travel to Chicago to play Wilbur Wright College on Feb. 6. 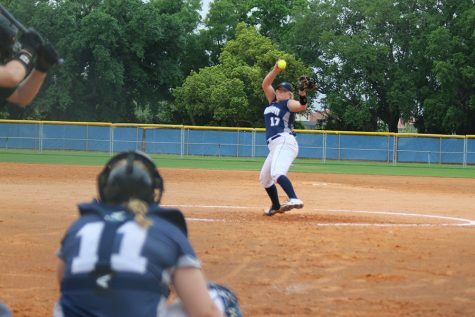 The following Saturday, Feb. 9, will see Madison College begin a four-game home stand against the College of DuPage. The WolfPack are 8-1 at home and 5-5 away, therefore finishing the season at home could be just what the doctor ordered.